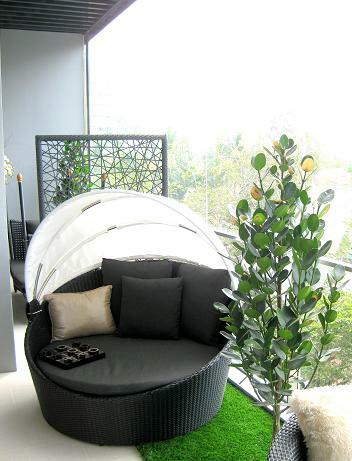 Snuggle up in this cool and comfortable daybed, available in 3 different sizes: Diameter 150cm, 165 and 175cm. 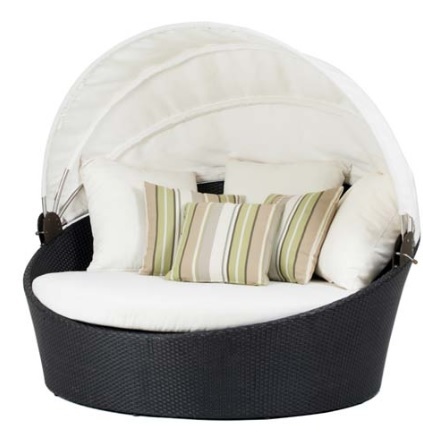 The canopy, an optional piece, is great for those hot days in the sun that need a little shade. Brighten up your outdoor space by opting for more vibrant and colorful cushion covers.